Mama quotes: "Tender, boneless chicken. Very tasty rice, juicy not dry chicken, compliments the chicken. Unique flavour." The Classic Chicken Rice is Wishbone's, well, classic dish. Often referred to as the Best Hainanese Chicken Rice in Town, the original Wishbone was located at Jesselton Hotel, now Bella Italia. Today, it has moved to Lot 609, Jalan Gaya (Gaya Street). To find it easily, just walk down Gaya Street from Jesselton Hotel, til you see a Guardian store. Wishbone is in the middle of the block right after Guardian. 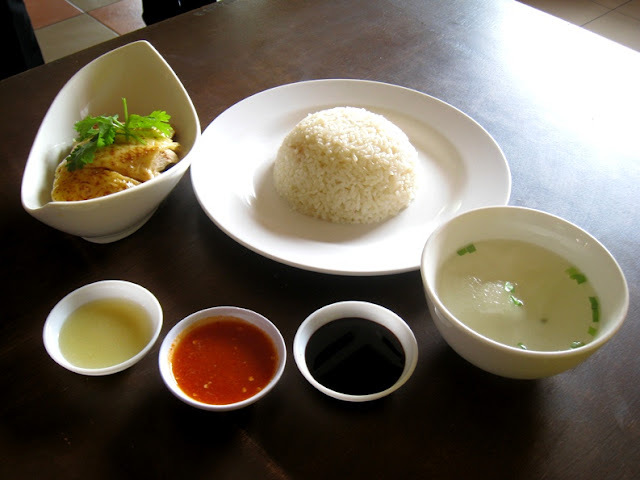 The chicken rice set comes with a bowl of special Wishbone rice, 3 different sauces, a bowl of clear soup, and of course, the chicken itself, soaked lightly in soy sauce. For the taugeh (beansprout) lovers, just add an extra RM2.50 for a plate of the crunchies! What makes the rice so special? Well, it's a mixture of 3 types of rice - Normal white rice, fragrant rice, and sticky rice. To give it the aromatic taste that all good chicken rice has, the rice is then cooked in chicken stock! The 3 sauces are also no ordinary sauce, as the soy sauce and chilli sauce are made using a secret recipe from Brunei royalty. In case that's not enough, ginger sauce makes no.3! As for the meat, well you can choose from my favourite, boneless breast meat, which will cost you RM5 for the whole set (medium RM8.50, large RM15) or if you prefer, drumstick is also available at RM7.50. The chickens are all corn-fed and are reared on Wishbone's own farm in Tuaran. 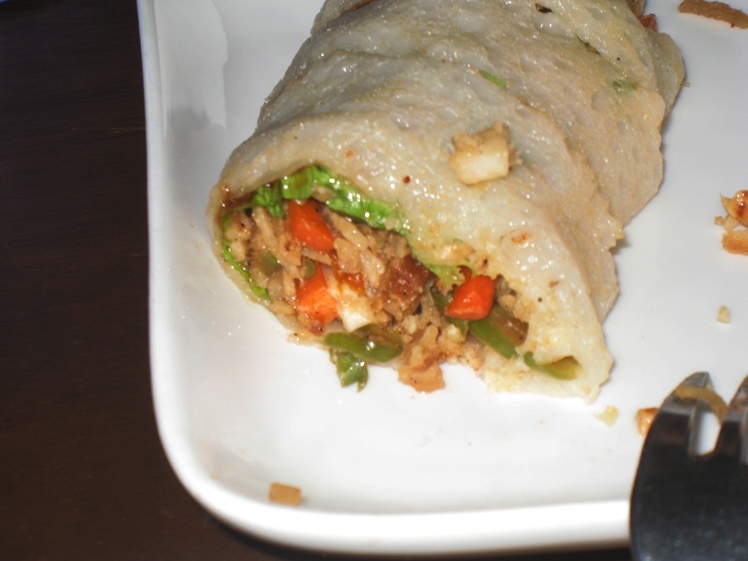 This out-of-the-ordinary popiah is actually from Kuching, Sarawak, and the recipe was brought over by Operations Manager, Mr Nova. A light, fluffy wrapping, the inside is made up of long beans, sengkuang, fried tofu, nuts, and yau za kuey (deep fried strips of bread), giving it the lovely crunchy texture that my mom, and I just loved! Mama quote: "A nice combination, the marriage of the 2 sweets. Couldn't get enough of the ice cream!" 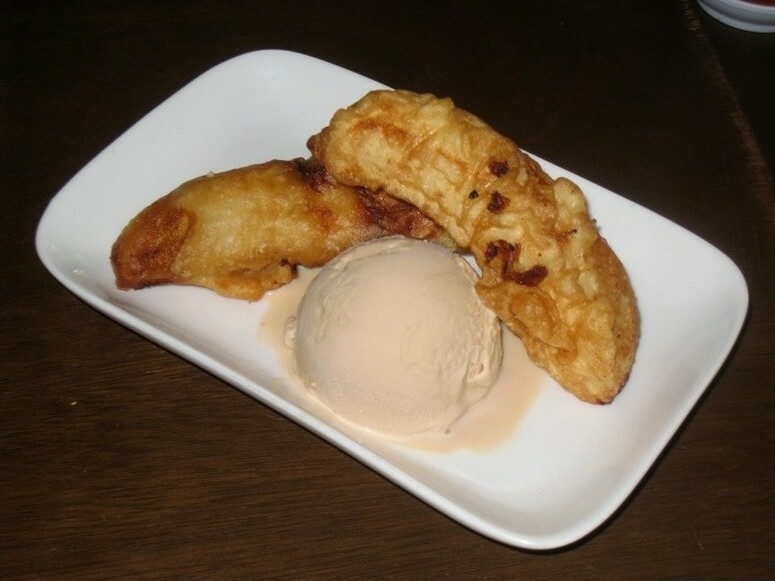 The best banana fritters I've had in a long time, they taste even better when slightly dipped in the melted Gula Melaka (Malacca Sugar) ice cream! The ice cream is a unique flavour developed by Gardenia, specially for Wishbone. A favourite among their regular customers, especially around tea time! 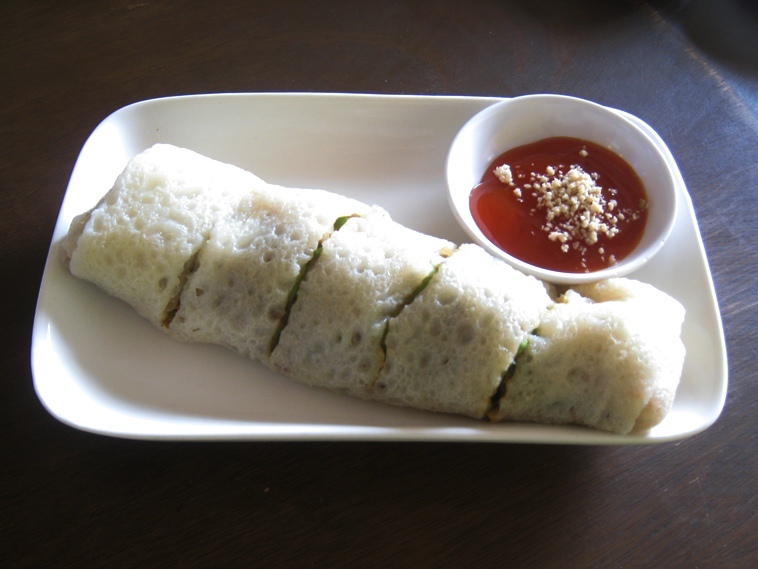 Mama's favourite of the day: Kuching Popiah! 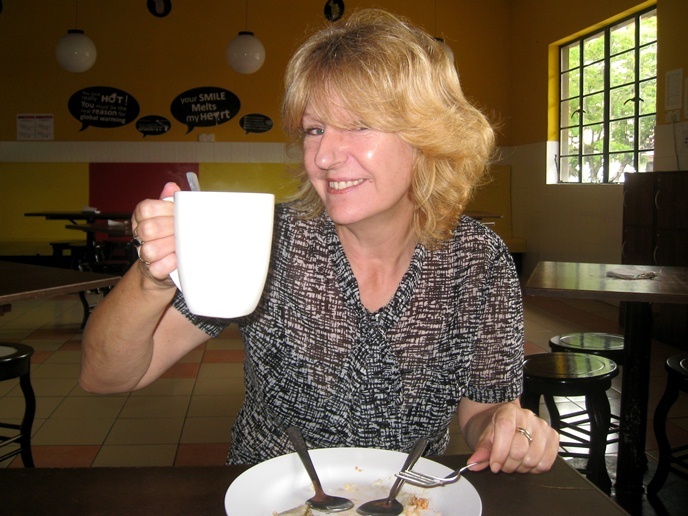 "Never tried anything like it before, and it definitely connects with my taste buds!" Calista's favourite of the day: Banana Fritters! 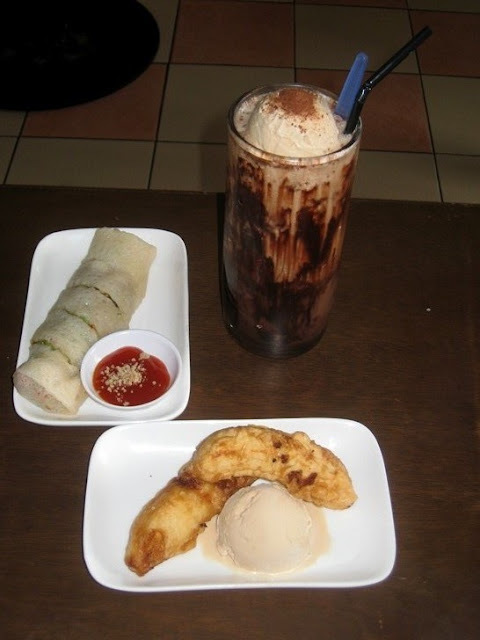 "Bananas are fresh and sweet, and not too oily. Beats the hawker stalls any day!" This looks and sounds very tempting.... Haven't tried it yet but will definitely try it soon.. Yum Yum.